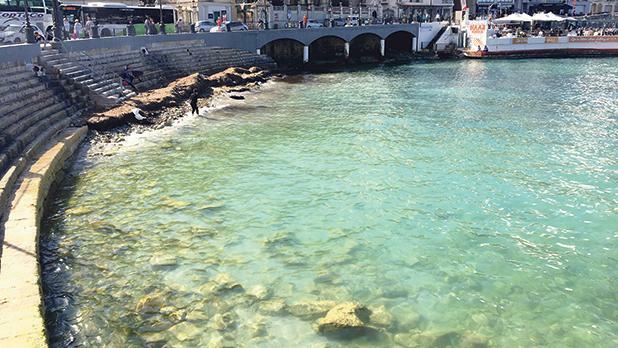 The little sand that remained at Balluta Bay, St Julian’s, has disappeared after the latest storm, just seven months after the completion of €110,000-replenishment project by the Tourism Ministry. Marine experts had warned last summer the project was doomed to fail, criticising the government on the “waste of hard-earned taxpayers’ money”. Questions sent to Tourism Minister Konrad Mizzi on whether this was the result of lack of planning and mishandling of public funds remained unanswered. He was also asked whether, as had been declared last year, the ministry would make another attempt to replenish the bay. Dr Mizzi had said during a site visit last August the replenished beach was the result of “an experimental measure to determine if such an exercise was worth the expense”. The beach’s inauguration had coincided with the most hectic time of the year as it was done at the peak of the summer season and coincided with the village feast. Not long after its inauguration, sand on the 20-metre wide beach had already started to disperse despite rather good weather. 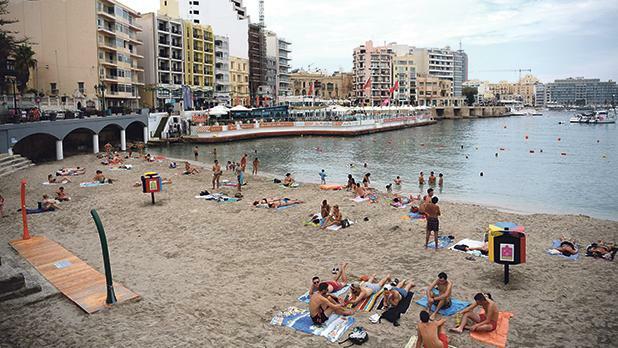 A month later, when most of the sand had already disappeared, a spokeswoman for the Malta Tourism Authority had denied that the beach had shrunk, stating that evidence collected through continuous monitoring indicated that such conclusions were “neither correct nor scientific”.